What do all these objects have in common? One look at Charles Pachter’s mischievous smile and it’s obvious he enjoys life. 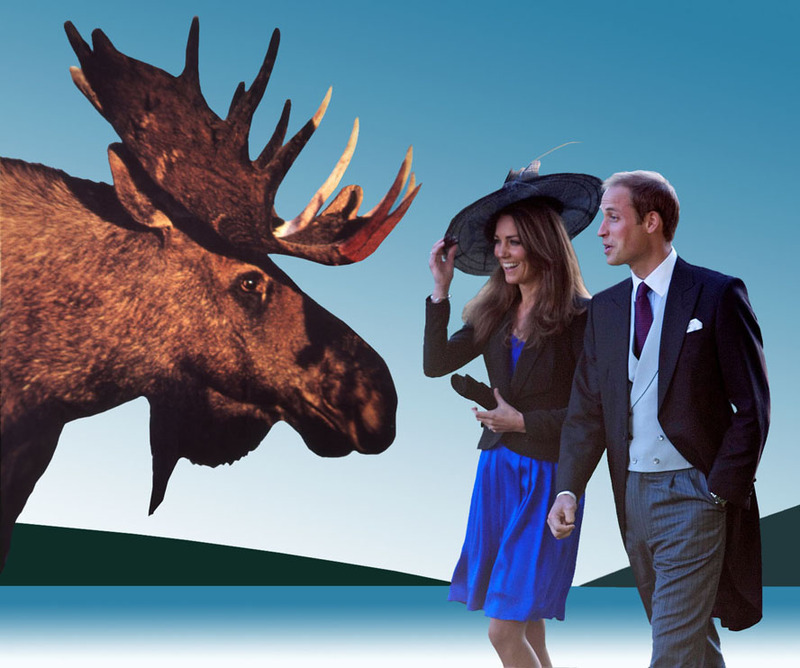 Today is Canada Day (we’re 144 years old!) and I think Charles’ work — he’s an internationally recognized contemporary artist, sculptor and author, says a lot about our culture and what we value. He’s achieved so much, yet he never seems to take himself too seriously. Charlie injects wit into everything he does. 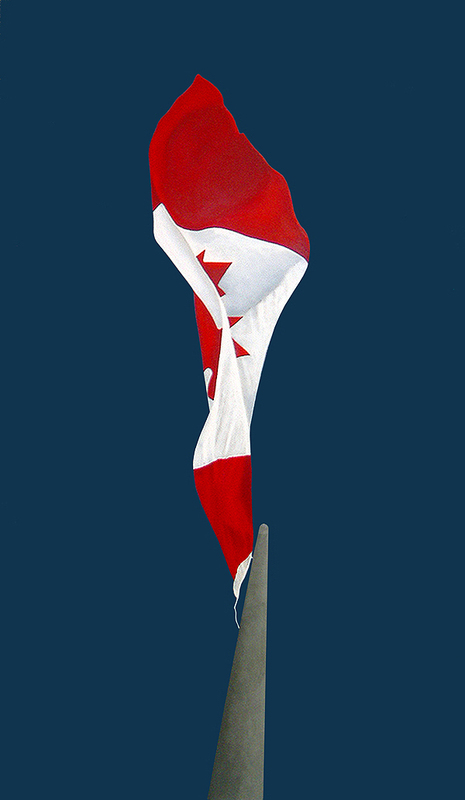 He’s been painting Canadian flags for years. They always have a wonderful sense of movement. 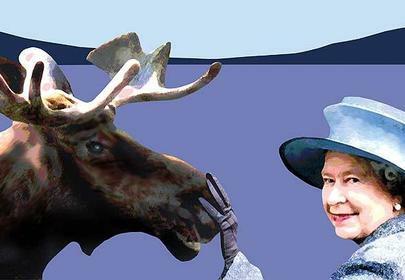 The Canadian Moose crops up in many of the artist’s works. This is Tour de force, 1986. Queen Elizabeth II is a favourite subject. 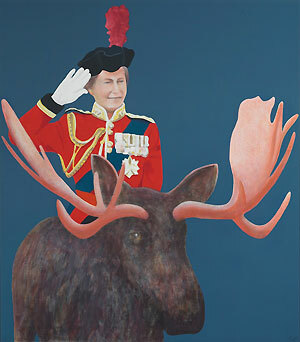 Dressage, an acrylic and coloured pencil-on-canvas work from 1988 is one of many Pachter’s works featuring the Queen and the Canadian moose. He got some flack when he first starting painting these images, but Prince Charles apparently loved the painting and asked for similar renditions for his sons, princes William and Harry. The artist took note and created this piece featuring the newly married William and Kate. 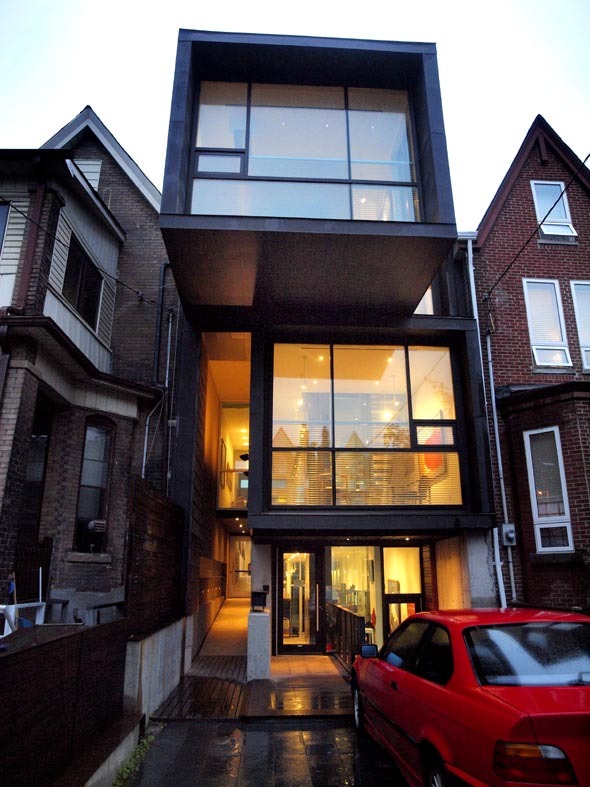 Charles built an incredible home/gallery space in Toronto’s Chinatown, steps from the Art Gallery of Ontario. 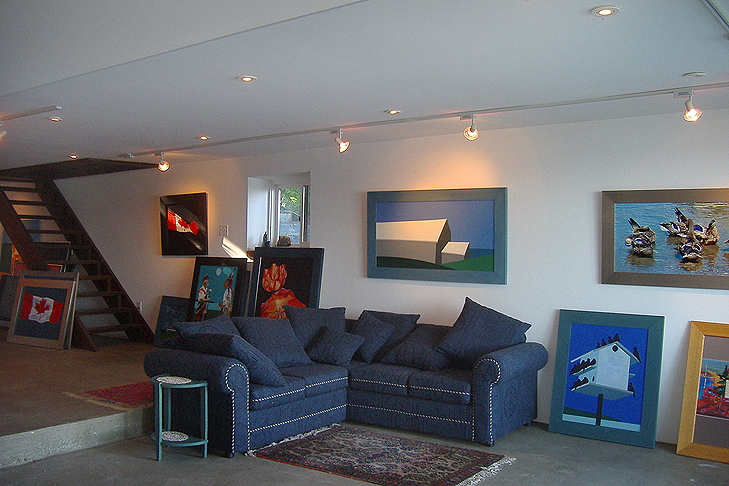 He calls the gallery Moose Factory and his home Pachter Hall. Both allow him to showcase his work in the heart of the city. In 1997 he bought a run down warehouse and factory. 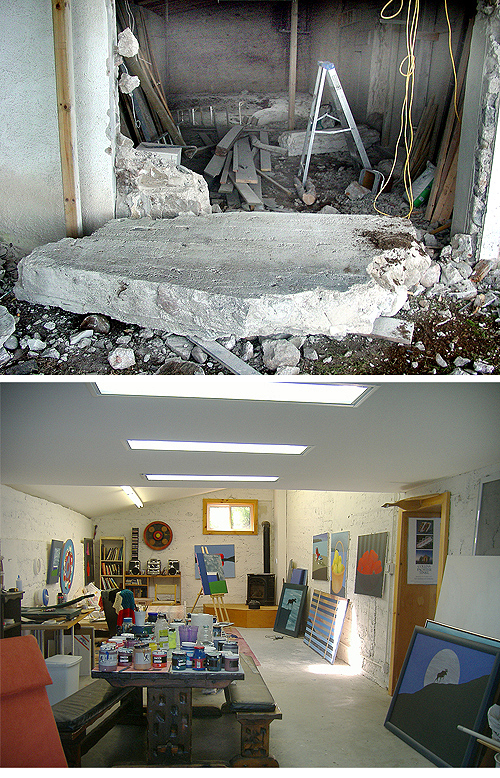 He demolished the garage and turned the old building at the back of the property – once a funeral home, into his gallery and studio. 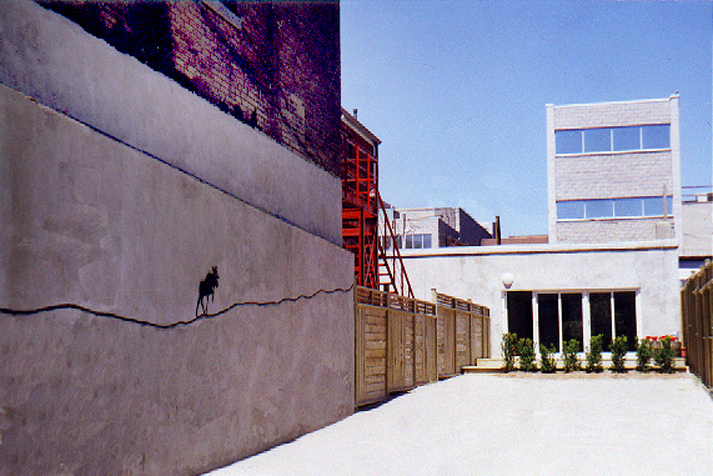 A few years later he asked architect Stephen Tepple to design a residential space with more room to display his art — this became Pachter Hall. 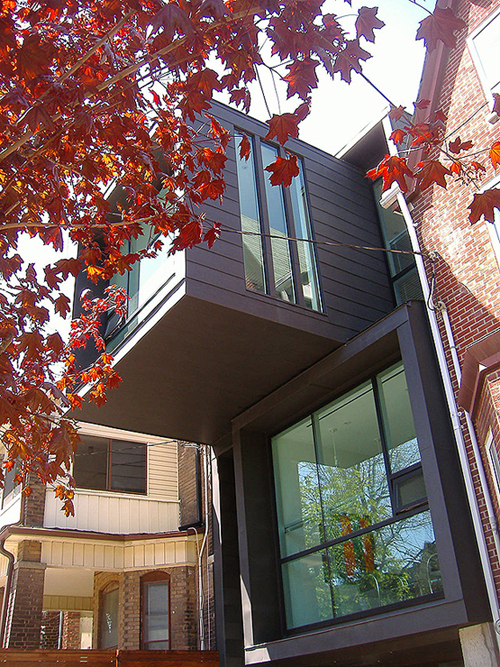 Teeple came up with a trio of long boxes that interlock and jut onto the streetscape. He even included a glass elevator. 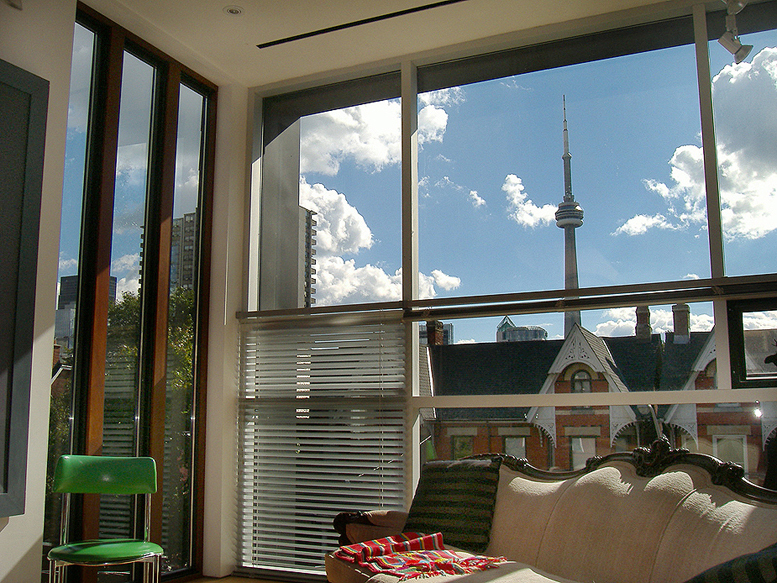 Stephen’s design has earned multiple awards – including the Ontario Association of Architects Award of Excellence. 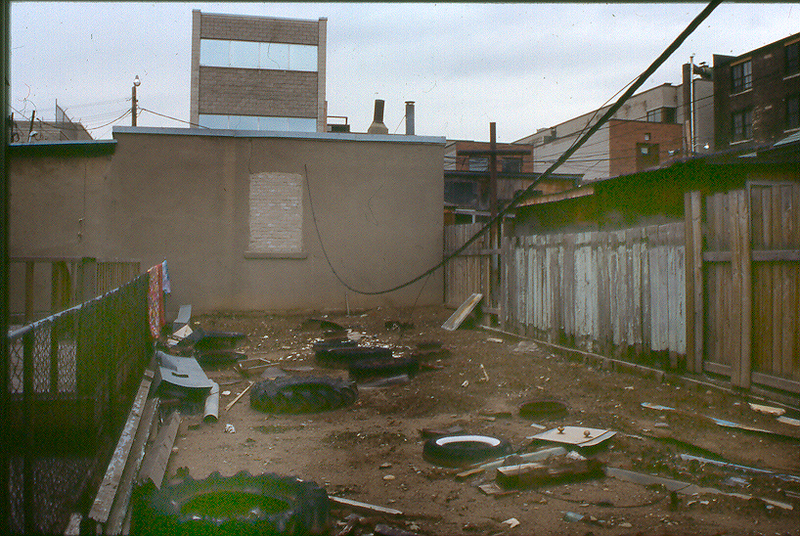 Before and AFTER — Moose Factory Gallery in Toronto’s Chinatown. Here’s Pachter Hall in its various stages of construction. Even Charles was surprised his neighbors didn’t object to his plans to build such a modern home. 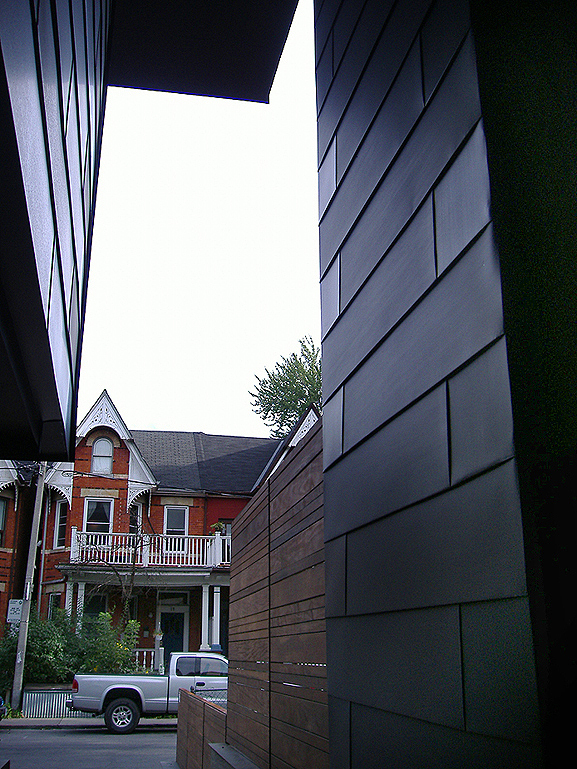 Pachter Hall sits cheek to cheek with Victorian homes on this inner city street. 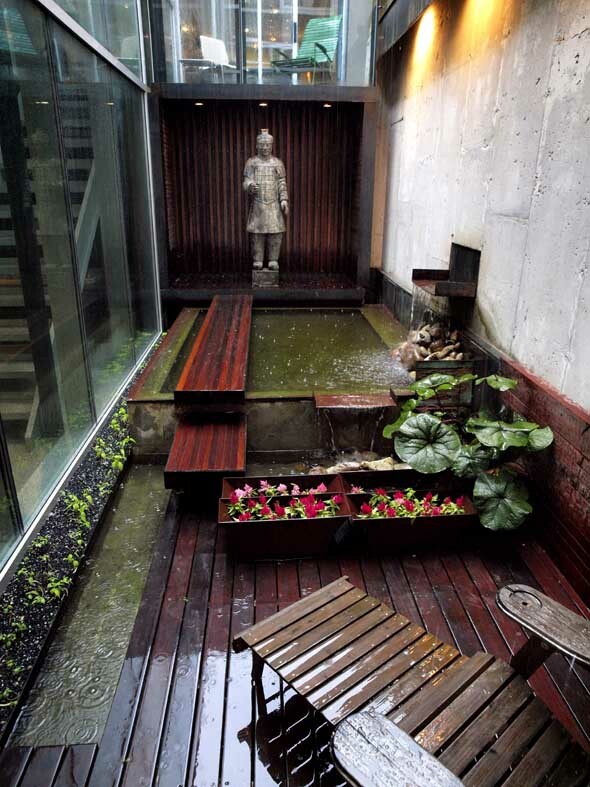 This fountain space looks like it was designed by Kelly Hoppen. It’s all about the view. 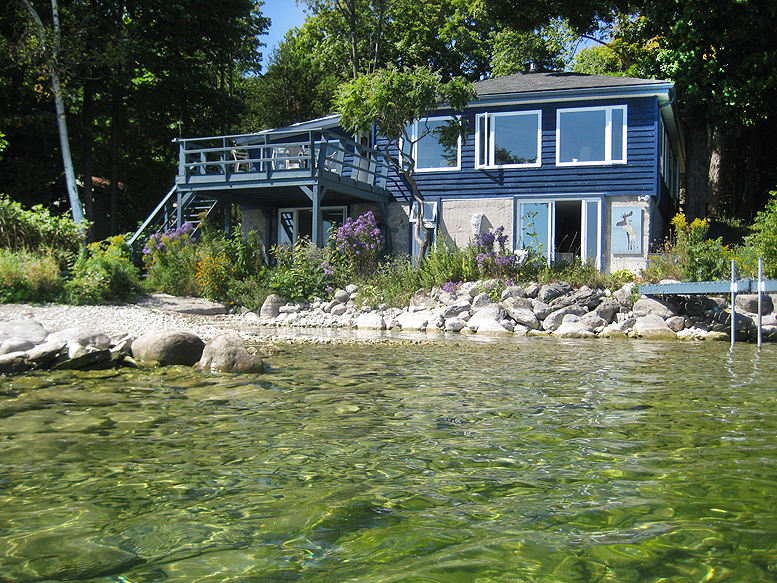 When Charles isn’t creating in the city, he’s relishing nature at his cottage on Lake Simcoe. True to form, he’s given it a name — The Ice House. 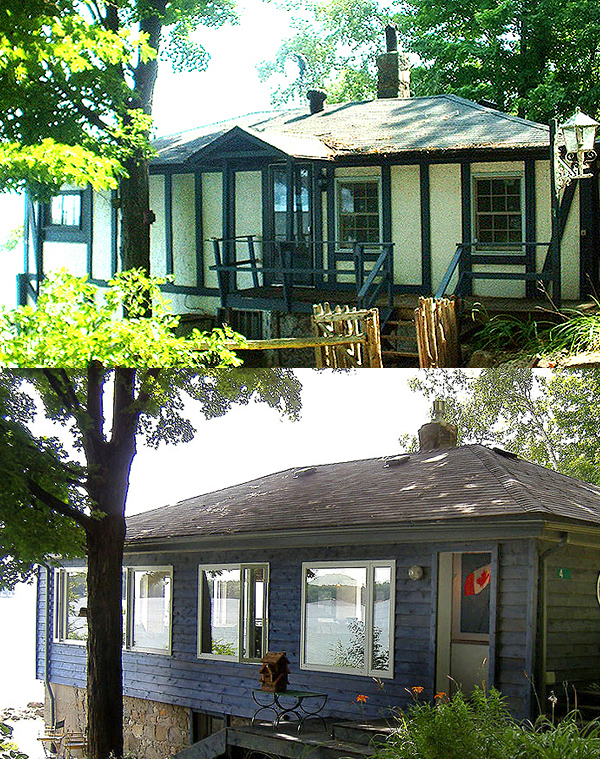 The cottage he renovated was built in 1926 and originally used as a storage facility for blocks of ice. It’s been transformed, yet it’s still very much a cottage. I love that. His lakeside studio is Charles’ favourite place to work. In Cottage Life magazine he says, it’s easy to get cleaned up after painting. He just jumps in the lake. 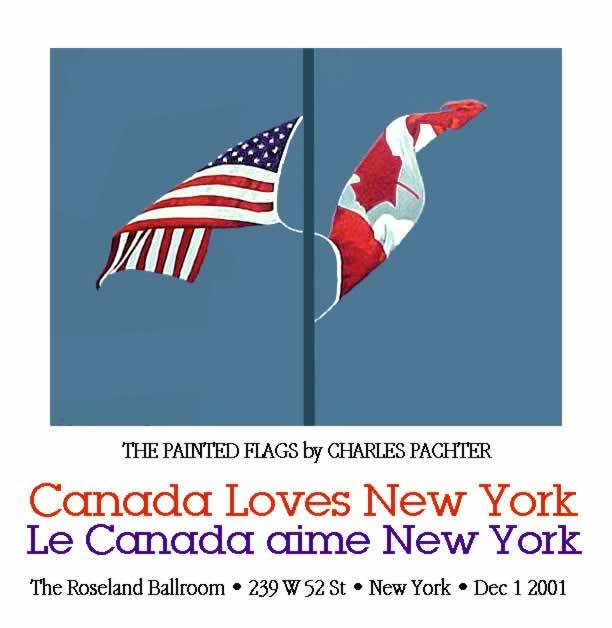 Side by Side The Painted Flags was created by Charles Pachter in memory of the victims of 9/11. 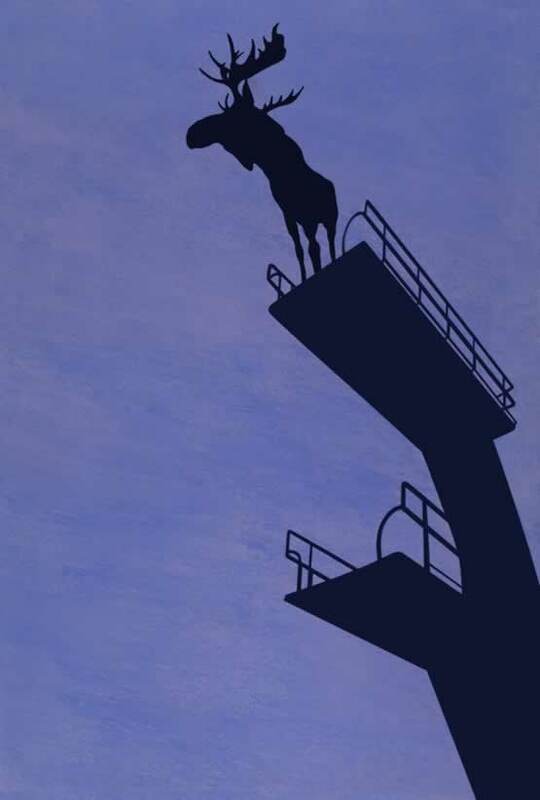 Aside from being one of the country’s leading contemporary artists, Charles is also the author of three books — The Journals of Susanna Moodie, his collaboration with poet/writer Margaret Atwood, the children’s book, M is for Moose and more recently, Canada counts, a charming book full of cottage life imagery. 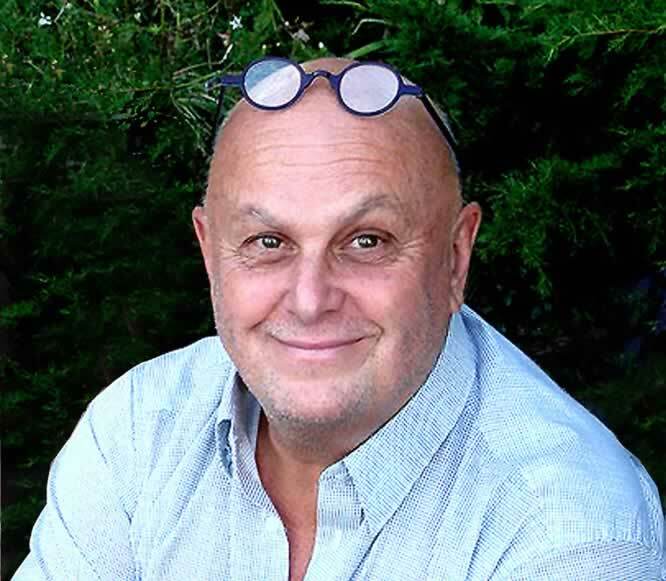 To learn more about Charles Pachter, check out his website here. 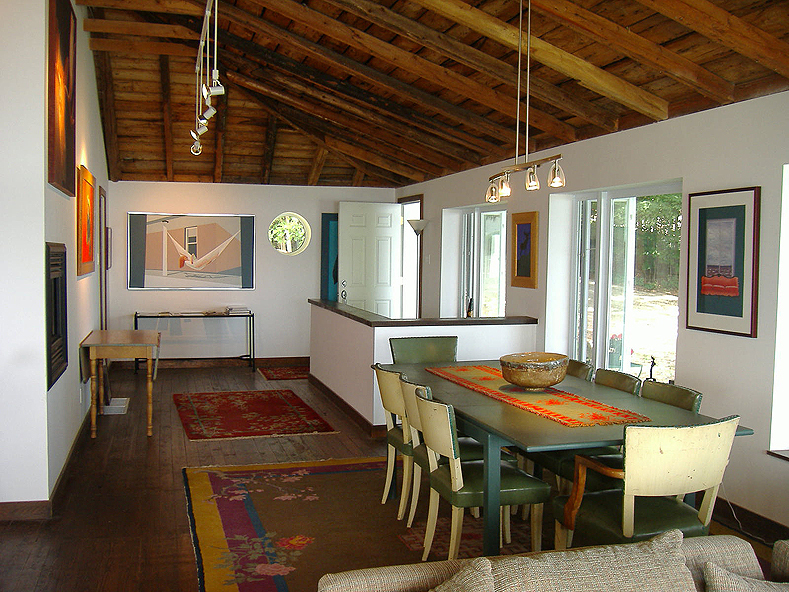 To read more about his cottage The Ice House, check out Cottage Living magazine here. 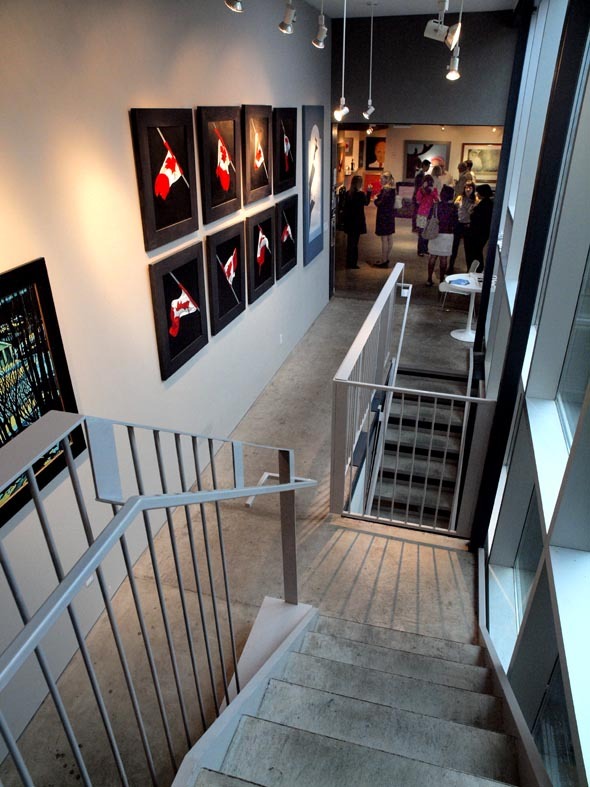 Photography of Pachter Hall and Moose Factory Gallery courtesy of Charles Pachter. Photography of the Ice House courtesy of Derek Shapton. How do museum curators pick the perfect wall colour? What’s Martha Sturdy doing in Tokyo? Is this house too small for you? 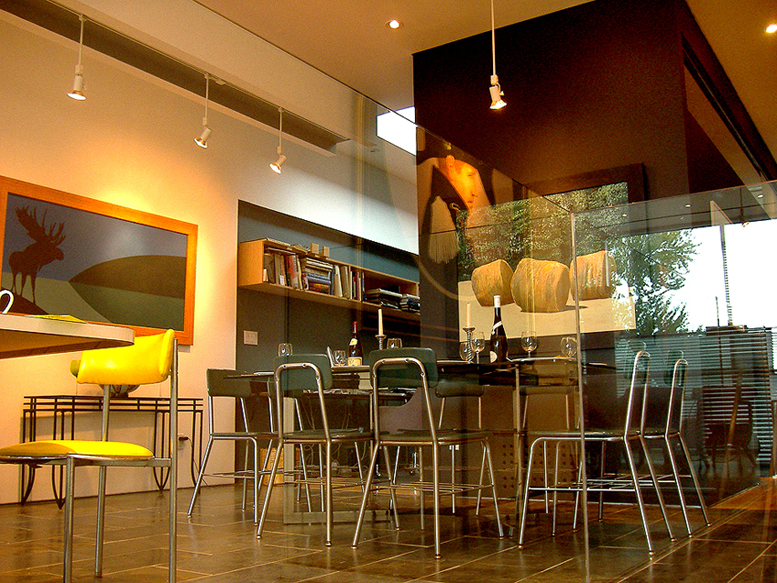 Could you live in a glass studio on the lake? Nailhead trim – yes or no? Are you inspired by graffiti and street art? Can a log stool be rustic and chic? Viki Mansell and Absolutely Inc.